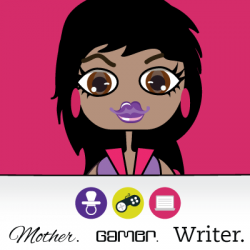 Originally Reviewed At: Mother/Gamer/WriterRating: 5 ControllersReview Source: PublisherReviewer: MeNorse Mythology is not dead! And thanks to Marr and Armstrong, kids can be reintroduced to some amazing gods and fascinating characters in Loki’s Wolves. This novel is perfect for Middle Graders and Teen readers who love to explore unique worlds and can’t get enough of non-stop action. In the small town of Blackwell, South Dakota, where news travels fast because everyone knows the ins and outs of everyone else, lives a young Matt Thorsen. Youngest brother in the Thorsen bunch, son of a sheriff, and direct descendent of Thor himself. Because of who he is and his famous ancestor, Matt struggles everyday to find an identity all his own. He’s not interested in being a carbon copy of his brothers nor does he like living in the shadow of his father. Yet he isn’t quite so sure he wants to be entirely different either. After the Seer names him as the Blackwell Champion to fight during Ragnarok, Matt must soon decide if he truly is a leader and if he can create his own destiny by staying alive. Loki’s Wolves is something FIERCE. I would have never dreamed a Middle Grade read would fascinate me so much or keep me up into the wee hours of the night scouring pages. It’s been a while since I’ve read a book like this (as I try not to compare books to other books). With its fresh original take on gods often overlooked, I enjoyed every minute of the chaotic action. I’m pretty sure I’ll never look at Mount Rushmore the same way again. Matt is a complicated character. Heck each character is a complicated character. Layered beneath what they present on the outside, is a lot of inner struggle to find themselves and not be hindered – good or bad – by their respective families stigmas. Fen is one of my favorite in the book. As bull-headed as he comes across, he really is a gentle soul with a heart of gold – most of the time. His cousin Laurie is an awesome chick. She’s tough, doesn’t take any crap from the boys, and usually has a way of saving them when they get into trouble. These three misfits make the ultimate ragtag combo. After the others eventually join the group, and not without challenge, they all light up the pages with their varied personalities, qualms, quirks, and eager tenacity. 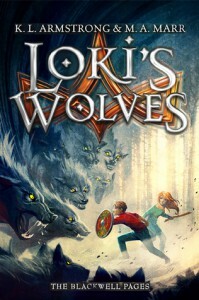 Overall, if you love a quick action-filled read then I definitely recommend Loki’s Wolves. Parents, if you’re looking for a fun read for your children then make sure you add this to their reading pile. The author’s stated that they wrote it for their sons, well don’t be discouraged because girls will fall in love with its charm too, frantically flipping pages and desperate for more!